I am addicted to decluttering, and it always kicks in when I’ve returned home from staying with other people, but they know this and don’t get offended, because they’re always asking me to declutter them. I do what I can to help, but decluttering a whole home is not a quick two-hour fix! I’ve been decluttering for years. My friends say that I can’t possibly have anything left to donate or chuck. 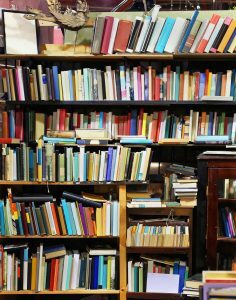 I’m fairly minimalist……… although our home may collapse one day under the weight of my books! I’m addicted to books as well as uncluttering. Clearing clutter doesn’t mean getting rid of stuff you like and use, only the stuff you don’t. Energy sticks around clutter, and stuck energy is bad news if you’re living around it for long hours. You risk becoming stuck too, in yourself and your life. In other words ‘unable to move forward’ or ‘going nowhere’. Just plain stuck! 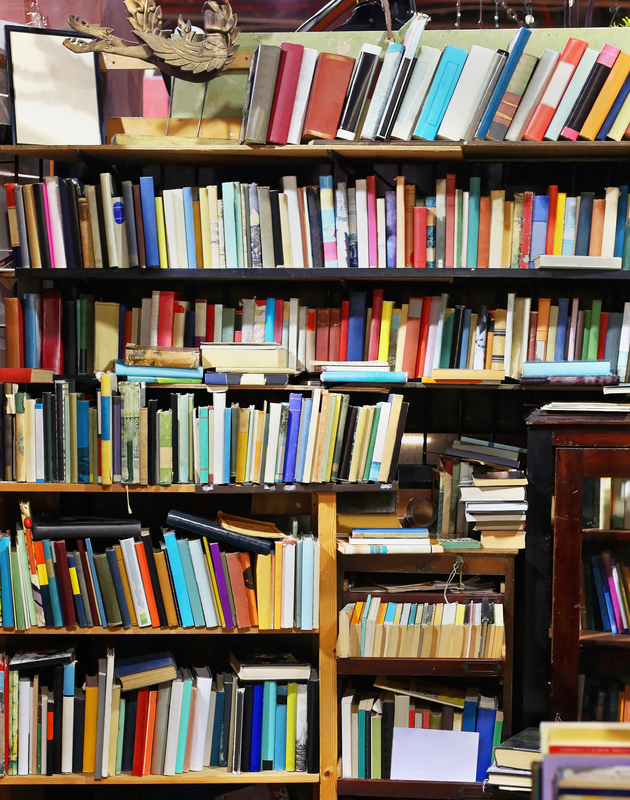 Books need special treatment to keep the energy around them vibrant, but it’s simple to do. About once a month I just move the books around a bit, give them a new place and donate what I’m really not going to read again. That’s all it needs. Then I wait for that buzz of well-being in the atmosphere and in myself, because that’s what always happens when I free up stuck energy. I look after our church library. It’s fun, and such interesting books get donated. After choking on the dust and grime before weeding out some of the books, I wait for that feeling of freedom and lightness in the atmosphere, which is always followed by a tremendous buzz of energy in me, and a sense that I can achieve anything. I really recommend it. It’s a fantastic addiction.